Pictures at a Convocation. On November 21, 2009 several students enthralled a large audience with their culminating projects. Click here to see some pictures. We'll have some of these projects available to read here in coming issues. Why am I so Tired?, by Lorrie Kazan. My psychic development students quickly complain of fatigue when we're doing perception exercises. Such psychic luminaries as Edgar Cayce suffered from and gave readings on this problem as well. We can learn from what Cayce said about this subject as well as by observing how it affected his life. Here are three different You-Tube videos. Each video is slightly different, while each shows the marked similarity between spiritually guided Channels. Lincoln Gergar has gifted us with six different informational videos. Of the six You-Tube videos listed, I suggest you begin with the first one on the left hand side and work down and then to the right. They are all very good and like all very good ideas, the term "Channeling Your Higher Self" can be found among the titles in the ARE library. 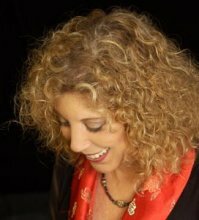 Linda Pynaker and monthly speaker at Creative Chakra Spa, opens the doorway for you to learn how to channel and find your spirit guides. Rev. Thomas F. Kearns, BSMA is "Professor Astrology", who generously shares what a channeling session might look like for those of us who have never witnessed such a thing. Edgar Cayce TV You'll find many interesting videos on the "Edgar Cayce Channel" of You Tube. The most recent video shows Andrew Collins discovering something important buried in mystery. The Futurist Update The Futurist, a monthly magazine dealing with future trends that will affect you, has a wonderful website where you can read all kinds of news related to the future. The Mayan Calendar Portal: One of the more interesting and reputable sites dealing with the Mayan Calendar. 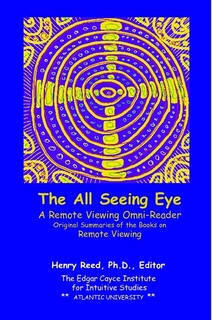 Contains interpretations of prophecies associated with each time period leading up to December 21, 2012.